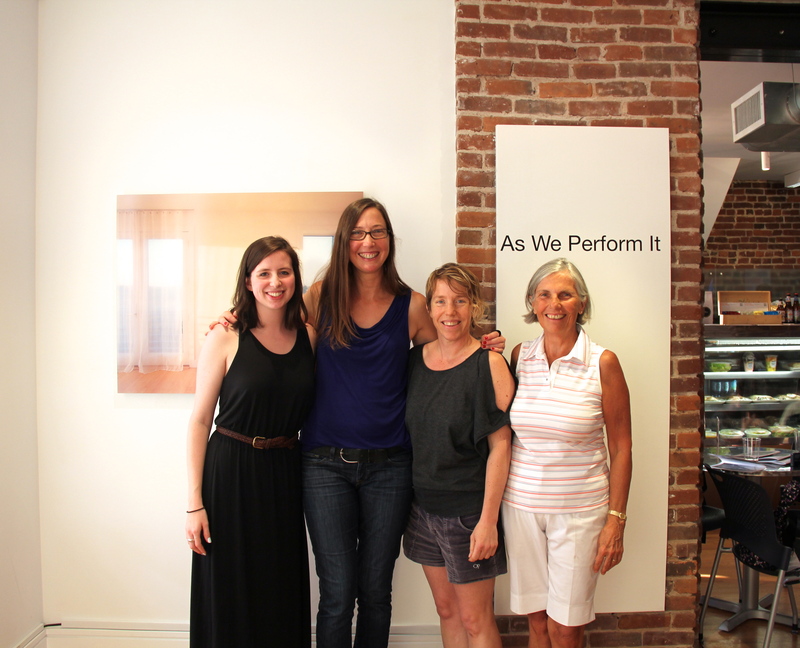 “As We Perform It,” the first exhibition for Rye resident and aspiring art curator Sandrine Milet, was Westchester’s formal introduction to the area’s newly-established hub for contemporary art. Franklin Street Works is known for its interesting blend of different types of art. Milet’s exhibition showcases the work of young and mid-career artists from across the country who discuss what it means to find your identity. It’s not your typical art exhibition, with surreal photographs, dialogue audio clips, and colorful, if not a bit disorienting, film. But then again, Franklin Street Works isn’t your typical art space. Down a quiet street in Stamford, Conn., Franklin Street Works, a nonprofit art space established in the fall of 2011, is a community in and of itself. Creative Director Terri C. Smith describes the space’s unique approach to art. “We blur lines between media. We’re a very cross-disciplinary place,” she said. A 2013 recipient of a two-year grant from the Andy Warhol Foundation for the Visual Arts has helped Franklin Street Works distinguish itself as a space that celebrates different media. Free and open to the public, it is also a place for people to really enjoy art. Equipped with a cafe, Franklin Street Works beckons the curious art explorer. Round-the-clock work from the staff has helped the nonprofit art space distinguish itself as a community center. “From film, gardening, politics, we see art as a connective tissue‑something that relates to everyday life,” Smith said. Franklin Street Works prides itself on an impressive schedule of programming and community engagement; a recent program involved relocating honey locust trees and featured volunteers working with established artists to move and plant seedlings. Hired as gallery manager in May 2012, Milet has become the go-to person for the art space’s frequent contact with the public. Helping to coordinate the art space’s many community programs, including a weekly Thursday night event, she helps ensure that the art space lives up to its mission. Founder and board president Kathryn Emmett, who attended the recent exhibition, explained the vision behind the space. “The vision was to create a community arts space that would engage people with contemporary art and be a place where different contemporary art experiences could be available. Where people could engage it and it could engage with the community,” Emmett said. And that is exactly what Milet’s first-ever exhibition did. Around the art space’s two floors, people could get close to colorful contemporary art. Harrison resident Kathy Sparanese attended the event with her family. “It’s great to be able to hop on I-95 and be able to see really interesting art,” Sparanese said. Both she and her 12-year-old daughter agreed that the art, especially the video art, was accessible and fun. Also in attendance were Kanise Barnes and Leanne Bruno of the Larchmont art gallery, Kanise Barnes Fine Art. The local art gallery worked with Milet, lending her pieces of two of the artists it represents. Contemporary artist Kristen Lucas was one of the artists showcased in Milet’s exhibition. Known for her work with hybrid media forms, Lucas’ work has been featured across the world, including in the Museum of Modern Art. For her, getting involved with Franklin Street Works was an opportunity to do something new. “This exhibition is so relevant‑it’s a very fresh and transparent look at young artists’ translation of the notion of identity in the modern age,” Lucas said. For an aspiring curator, the event was not only a celebration of her first exhibition, but a way to bring the Westchester community into the contemporary art space right in their backyard. As the crowd trickled out late in the evening, Milet had a moment to reflect. “I’m really happy with how the exhibition went. It came alive,” she said. Tags: art, franklinstworks, local art, rye, stamford. Bookmark the permalink.